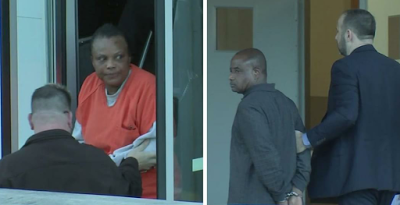 A Nigerian couple Sandra and Chuddy Nsobundu in Katy, Texas charged in relation to enslaving their Nigerian nanny from Sept. 29, 2013, through Oct. 10, 2015,have pleaded guilty on Wednesday, October 20th in the Houston Federal courtroom. U.S. Attorney Kenneth Magidson said Sandra Nsobundu, 49, pleaded guilty to unlawful conduct with respect to documents in furtherance of forced labor, while her husband, Chudy Nsobundu, 57, pleaded guilty to visa fraud. For two years, the couple, who are naturalized U.S. citizens, forced the woman to work without her passport and visa. the Nsobundus also knowingly enforced a scheme to cause the woman to believe that failure to perform the labor services would result in serious harm. They also threatened abuse of law and the legal process. The woman was not paid and her movement was restricted to the Nsobundus' residence or two short walks a day with the children. The Nsobundus also frequently yelled at, scolded and berated the woman for moving too slowly or failing to care for the children in the manner they wanted. The Nsobundus also threatened to send the woman back to Nigeria if she didn't comply with their labor demands. The complaint said the nanny would work every day from 5:30 a.m. to 1 a.m., couldn't take breaks and had to eat leftovers and not fresh food, including being forced to only drink milk left in bowls in which the children had eaten cereal. She also couldn't take hot showers, according to the complaint. The nanny alleged Sandra Nsobundu repeatedly hit her if she thought the nanny wasn't doing her job correctly. The complaint said Sandra Nsobundu is accused of once striking the nanny across the face with a slipper and threatening to "shoot her and kill her" after not liking the socks the woman had put on one of the younger children. After the nanny found out that she hadn't been paid in two years, she reached out for help and was rescued last October following a tip to the National Human Trafficking Resource Center, the complaint said. It's not clear who made the tip. 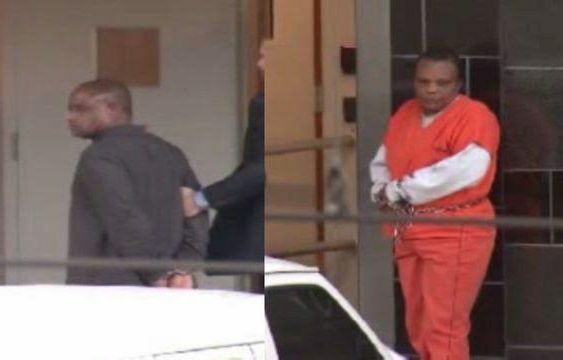 The U.S. Attorney's Office is seeking restitution in the amount of $129,108 to the victim, saying that the Nsobundus owe that amount in back wages. The Nsobundus previously agreed to pay the woman 20,000 Nigerian nairas, or $100 a month. The court said the Nsobundus never paid the woman for any of her work in the United States. The Nsobundus falsified the visa application for their nanny when she came to the United States from Nigeria. They lied about her age, her reason for travel and her marital status, among other things. They also hid the fact that she would be working for the family as a housemaid and nanny under conditions not in compliance with U.S. labor laws. After getting the woman's visa, the Nsobundus paid for the woman to get to the United States from Nigeria. Once here, Sandra Nsobundu took the victim’s passport and copies of her bank statement with the intent to violate the forced labor statute. The victim was rescued Oct. 10, 2015 following a tip to the National Human Trafficking Resource Center.